5 Seconds of Summer started out as just 4 guys covering their favorite songs on YouTube in 2011. Fast forward a few years and 5SOS has not only traveled the world with bands like One Direction but they have also released 3 studio albums and started their own record label. To say 5 Seconds of Summer has blown up across the globe and airwaves might be an understatement at this point. 5 Seconds of Summer is a pop/punk mix style of music and has been compared to 90's bands like Fall Out Boy, Blink-182, Green Day, and My Chemical Romance. It's been a while since 5 Seconds of Summer went on tour in the US but the wait is finally over in 2018. Don't miss your chance to see Luke Hemmings, Calum Hood, Ashton Irwin, and Michael Clifford on the 5SOS III Tour. 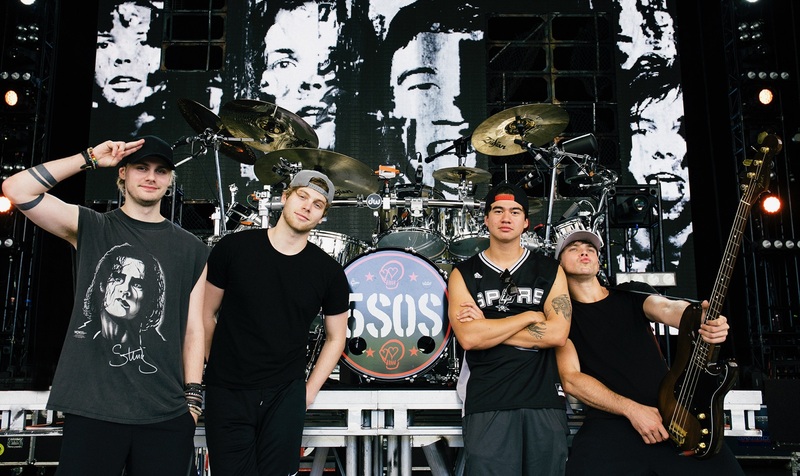 Find amazing tickets or grab VIP passes to see 5 Seconds of Summer live from Rad.Tickets.